According to a recent study by the Centers for Disease Control and Prevention, 17.8 percent of adults now smoke in the United States. That’s the lowest percentage since 1965, the first year statistics were kept, when more than 42 percent of adults smoked. 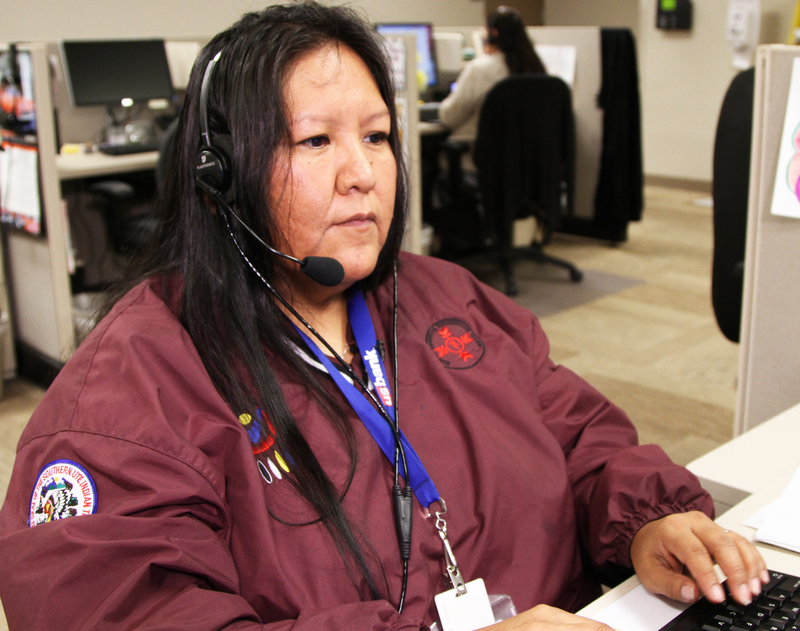 Following over a year of study of the tobacco use and cessation characteristics of the American Indian population across the country, QuitLogixⓇ at National Jewish Health became the first quitline in the United States to hire Native coaches. Having coaches that share the same heritage was described as an important feature for quitlines to be successful in cessation efforts by American Indian commercial tobacco users. More than 26 percent ofAmerican Indians are smokers, the highest rate of any ethnic group and considerably higher than the national average. Until now, effective smoking cessation programs designed specifically for a heterogeneous population of American Indians across multiple tribes in different geographic locations did not exist. Tobacco is an integral part of the American Indian culture. It holds a sacred place in their history and is still used in spiritual ceremonies and traditional practice. So, before launching the American Indian Commercial Tobacco Program (AICTP), Lukowski said researchers met with dozens of previous and potential participants of quitline services in various regions. “We needed to better understand the best ways to address commercial tobacco from community members themselves, while still honoring traditional tobacco practices,” she said. Quitline experts are also working to better help counsel those with mental illness, who smoke at a rate of 36 percent – more than twice the national average – and those in the LGBT community. Research suggests those in the LGBT community are up to 200 percent more likely than others to be addicted to cigarettes. “Those high rates of tobacco use in these populations are no accident,” said Lukowski. “Tobacco companies have identified and targeted these groups as being populations more vulnerable to nicotine addiction and are shrewdly advertising directly to them.” This type of marketing to susceptible populations continues to be prevalent in many direct and subtle ways. 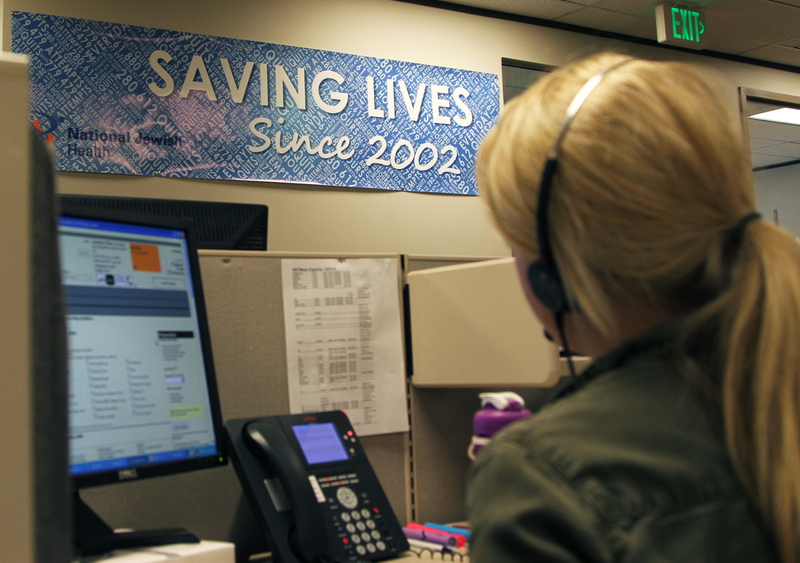 The quitline at National Jewish Health provides services to 15 states, fielding up to 22,000 calls per day. Since 2002, this quitline has served over 1,100,000 tobacco users. Those wanting to quit can call 1-800-QUIT-NOW, to be directed to their individual state quitline. National Jewish Health is the leading respiratory hospital in the nation. Founded 116 years ago as a nonprofit hospital, National Jewish Health today is the only facility in the world dedicated exclusively to groundbreaking medical research and treatment of patients with respiratory, cardiac, immune and related disorders. Patients and families come to National Jewish Health from around the world to receive cutting-edge, comprehensive and coordinated care. To learn more, visit njhealth.org. Amy Lukowski speaks with a Native coach working with the American Indian Commercial Tobacco Program at National Jewish Health, in Denver, Colorado. 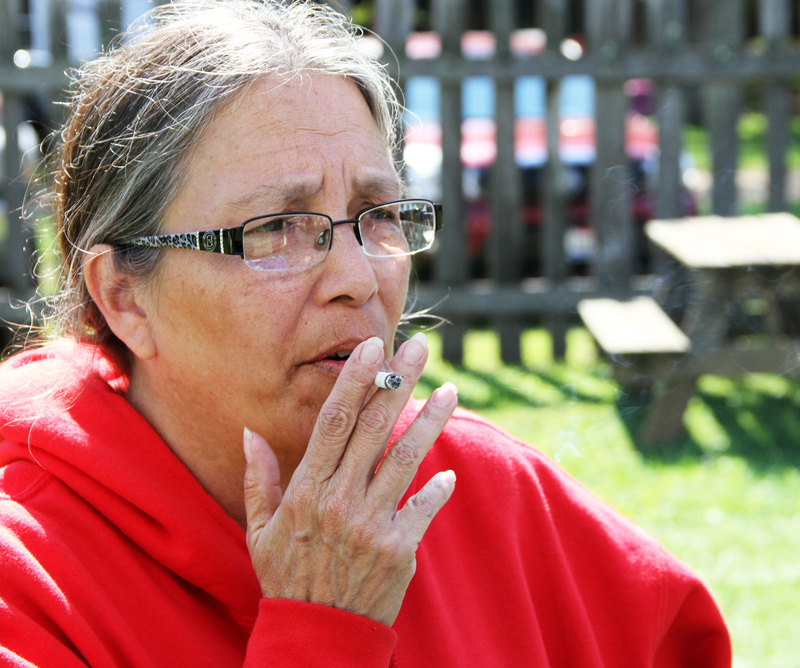 Robbi Swift, 60, takes a break to smoke during a recent American Indian Pow Wow held in Loudenville, Ohio. 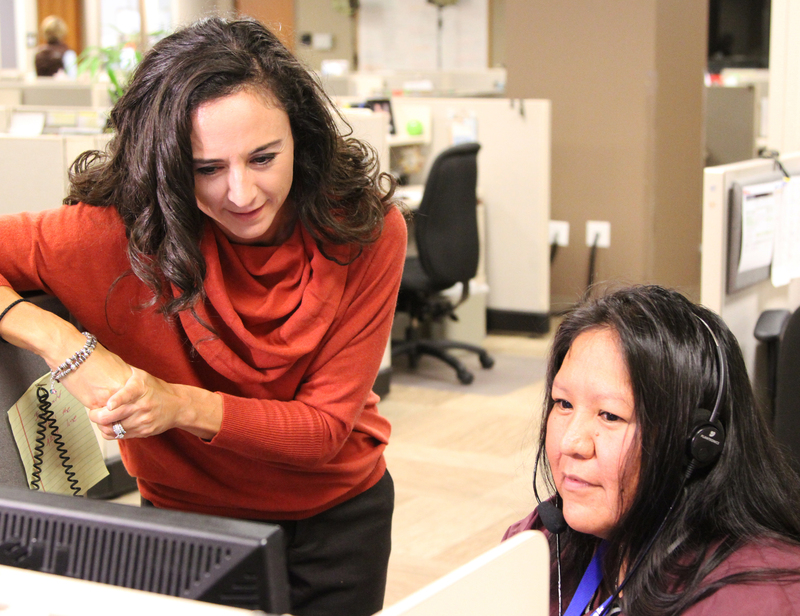 A Native coach helps counsel commercial tobacco users as a part of the American Indian Commercial Tobacco Program at National Jewish Health, in Denver, Colorado. 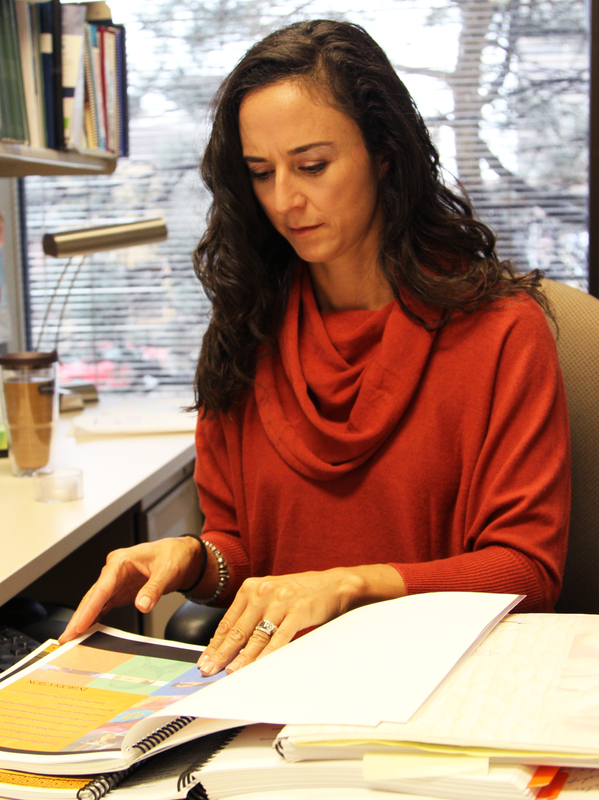 A tobacco cessation coach speaks to a quitline caller at National Jewish Health in Denver, Colorado, the largest non-profit quitline in the U.S.
Amy Lukowski, Psy.D., of National Jewish Health, leads the largest non-profit quitline in the country. The program fields up to 22,000 calls per day. 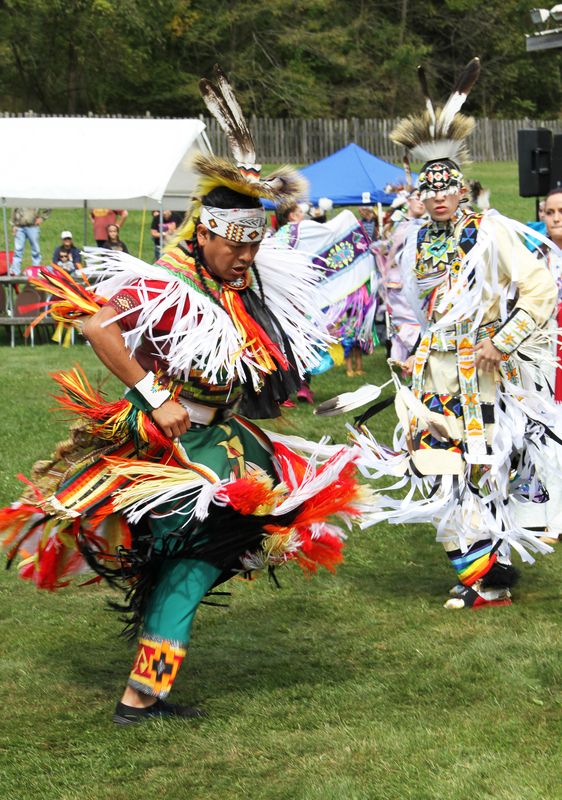 American Indians dance after offering traditional gifts of tobacco at a Pow Wow held recently in Loudenville, Ohio.